Get into Movie Tracker application and find a very large collection of your favorite movies, from classics to top new releases. Movie Tracker provides a simple and easy way to combine all of your favorite movie stores into one large movie repository. If you find yourself wanting to watch a movie and have Netflix or a RedBox kiosk close to your house, why no just search and view what movies are available at our store with a simple tap on the screen? What's available in this release? 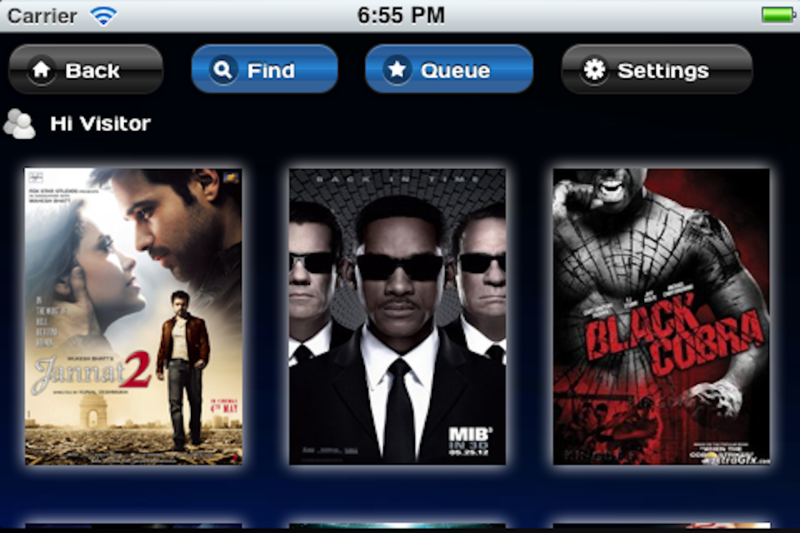 - Ability to view new movie releases in main screen. - Ability to demo the application without having to create an account. 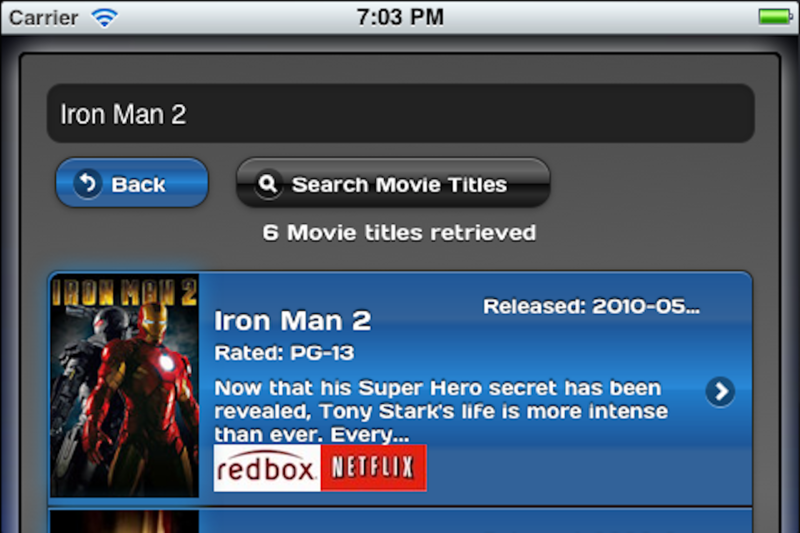 - Ability to view movie information. 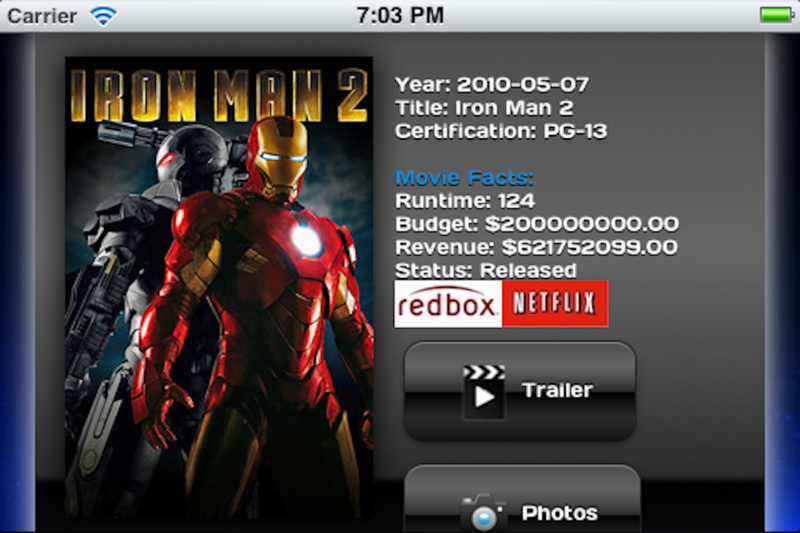 - Registered users have a more extensive list of movies and allow users to view what stores have the movie available. - Animated movie grid list for easy browsing of your favorite movies. 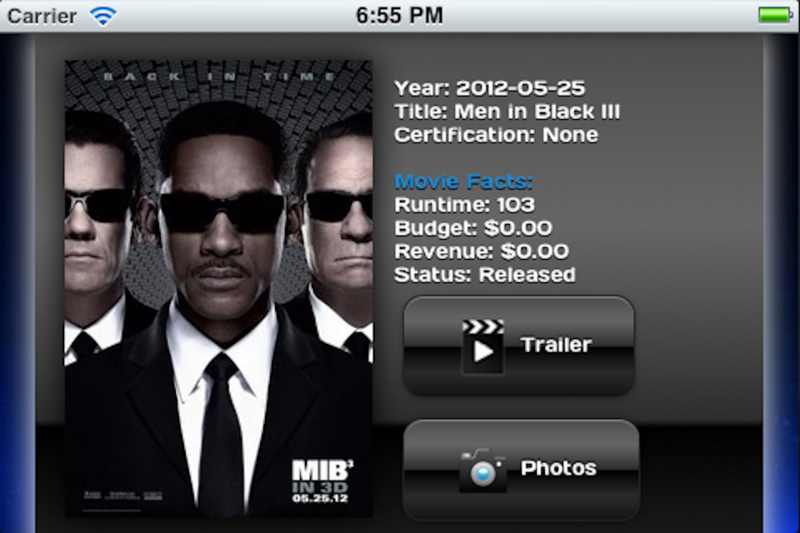 Special thanks to TMDB APIs for providing MovieTracker with a great movie database. I'm happy to let you know that I have made big changes to Version 3.7. I've received many requests and took the time to review them and apply the features and changes to the existing features. 1- Redesign UI to make it more intuitive for users. 2- Added Integration with Facebook, Twitter, and also via email. This is a big added feature that allows you to share all the movie content from movie tracker with all your friends and Family! 3- Added a new section for managing settings. If you don't want to wait the default 7 days for the next new movie releases to show you can now manage these settings by yourself in the main screen. 4- Added another new section for viewing movie photos. This is located in the detail screen. 5- Fix an issue where some of the videos were showing, now we're adding a new search routine that will make sure you can view all videos. 6- Remove annoying horizontal scrolling mentioned by many users. We're looking into adding a lot more functionality please feel free to email us at: dilmerv.itspecialists@gmail.com if you have any requests. Thank you for always supporting and joining Movie Tracker!